Through our ongoing partnership with WE, that mission extends to include children in WE Villages communities. 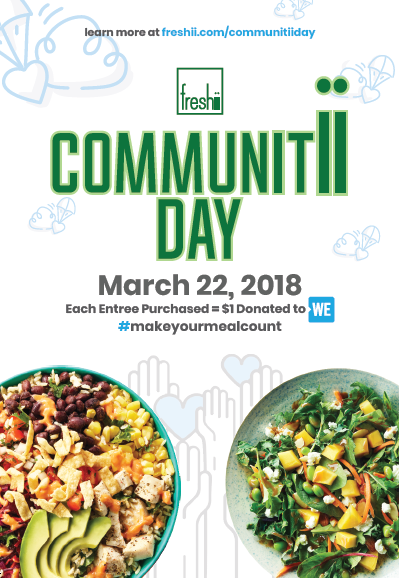 Every day across all Freshii locations, guests can make a direct impact in these communities by ordering from our WE Menu.. Yep, that's right. 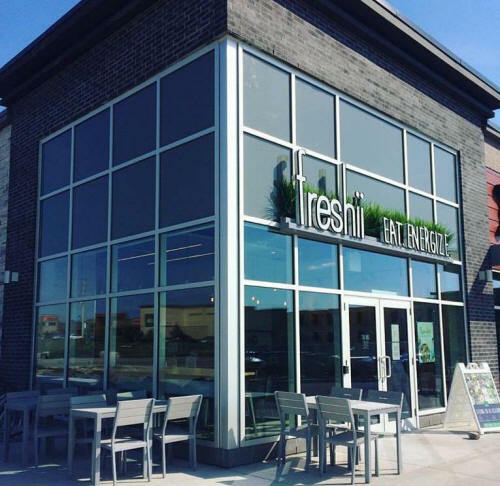 When you grab a Zen Salad or Wrap, Oaxaca Bowl, Khao San Burrito or Superfood Soup at any Freshii location, you're actually donating a meal to a child in need. Thanks to guests around the world, we've raised enough money to build a Freshii-fuelled kitchen & garden in Kenya that energizes schools every day. But we're not done! On March 22nd we're taking that global mission to the next level. We call it Communitii Day. On Communitii Day, every entree purchased means we'll donate $1 to WE. Which translates to 10 meals for children in need. Energize yourself, while spreading a little more energii to communities that need it most. Check out more info on our partnership in the following two videos!